For many people, croquet conjures up an image of country houses with large lawns, a quirky pastime with Victorian associations. 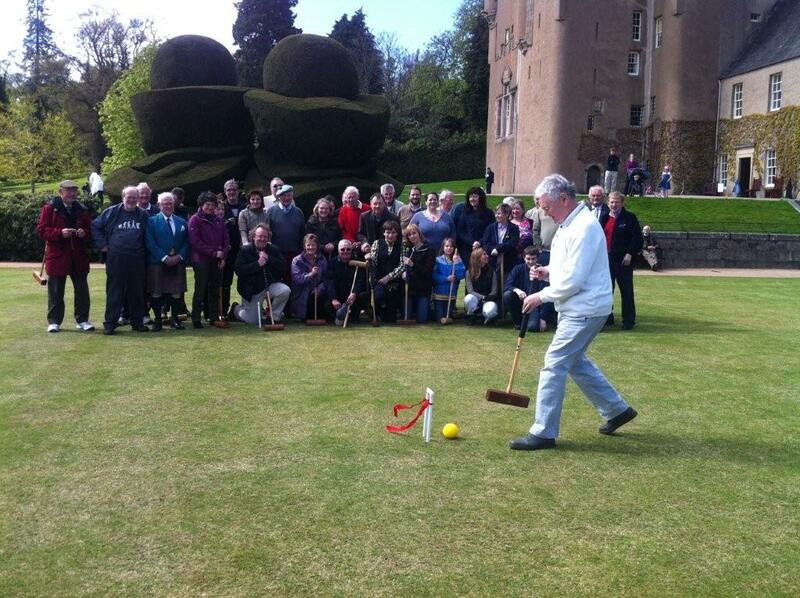 But contemporary croquet is far removed from that. It is a fiercely competitive sport with a dedicated and international following. Members of the RNUC, and their friends, play the game and indeed there have been Croquet Evenings held for the past 4 years, the croquet usually being followed by Supper at the Club. 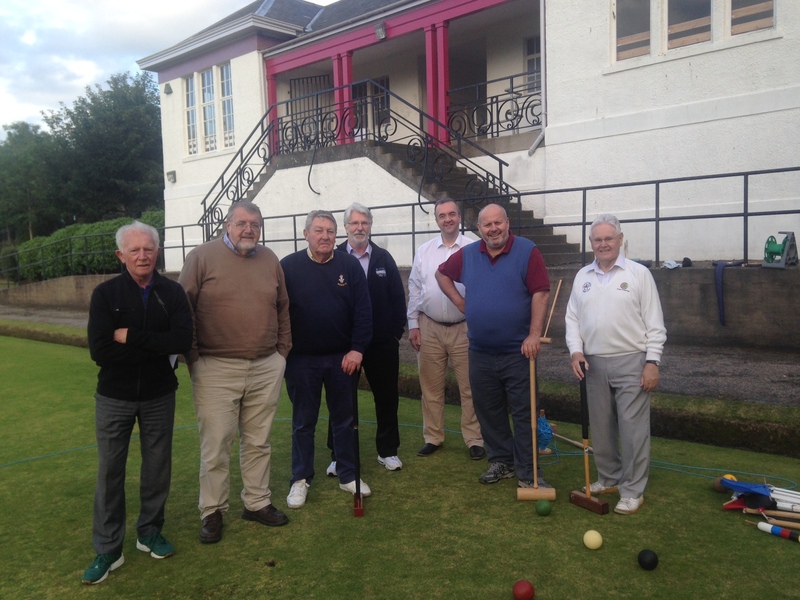 Members who have taken part in RNUC Croquet Evenings in 2016 include George Gibson (extreme left) , Barry Cook (third from left) , Quentin Stephens (third from right), David Carnegie (second from right) and and Charles Henderson (extreme right). We play in Aberdeen and at Crathes Castle. You are never too young or old to play croquet and RNUC Member Peter Carter took up the game at 86 and played in a Doubles Final at over 90! Whether you want to play competitively, or socially you are welcome to have a go.